2012-02-20. Published in What's Going On? The annual book sale is set to begin on Wednesday (22 Feb.) this year. Already, you can start pre-ordering books through the online book stores participating in the book sale, such as Adlibris.se and cdon.se. Even Science Fiction Bokhandeln, which has stores in Gothenburg, Malmö and Stockholm, is accepting pre-orders on some of their titles on sale through their website. But for the most part, you’ll have to wait until Wednesday. 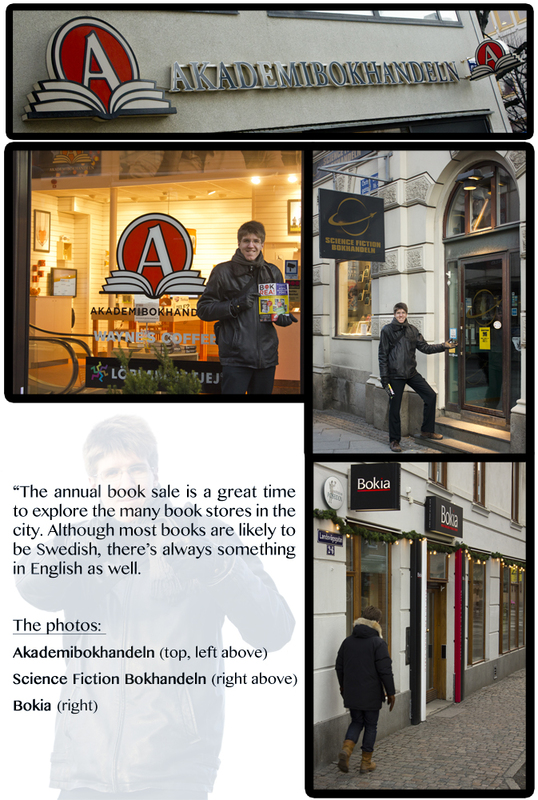 Many of the larger book store chains in Gothenburg print catalogues with all the books they will have on sale. You can pick up these catalogues at their stores and check in advance if there are any books that you may be interested in. While practical, the downside to this is that it takes away some of the excitement. I am, of course, talking about the exploration of the unknown, or rather the excitement of going from store to store and not quite knowing what you may expect. That’s why I love the Science Fiction Bokhandeln. Granted, I love the genre too, but that’s beside the point. Simply put, you never know what you will find on sale at SF-bokhandeln. Certainly, they have some titles listed online, but these are only a few of all the books on sale. So, if you like Science Fiction, Fantasy or Manga, be sure to stop by SF-Bokhandeln. But do take care, the best books sell out fast!